HARRISBURG, Pa. -- The 37-year-old Brazilian defender, Tiago Calvano is set to play the last match of his professional career on Saturday night at FNB Field. After an 18 year run, Calvano will retire from his life as a professional soccer player. He first played in Harrisburg as a City Islander in 2017 before resigning with Penn FC during the team’s rebranding in the offseason. Calvano helped anchor the Blue and White defense, playing in a total of 40 matches and starting in 38 matches. Providing a physical presence on the defensive end of the field, Calvano recorded 17 blocks, 104 tackles won and 187 duels won over the past two seasons. Although his physical force was essential to the team, Calvano’s 18 years of experience established him as a veteran presence that provided the team with leadership on and off the field. Prior to his career at Penn FC, Calvano assembled an impressive résumé playing for various clubs internationally. Starting his career with Botafogo in 2001 in his hometown of Rio De Janeiro, Brazil, the defender moved to Italy in 2002 before making the move to FC Barcelona B in 2004 where he made 27 appearances. Calvano made the move to first division soccer when he signed with Swiss powerhouse BSC Young Boys in 2005 and played until 2008. He then played for two German clubs at MSV Duisburg and Fortuna Düsseldorf before moving to Australia to feature for the Newcastle Jets, and Sydney FC. His first contract in the United States came when he signed for Minnesota United FC, a member of the NASL in 2014 where he played until being signed by Harrisburg in 2017. Kickoff for Calvano’s final match is set for 7 p.m. at FNB Field on Saturday where they will take on Toronto FC II in the last match of the 2018 season. 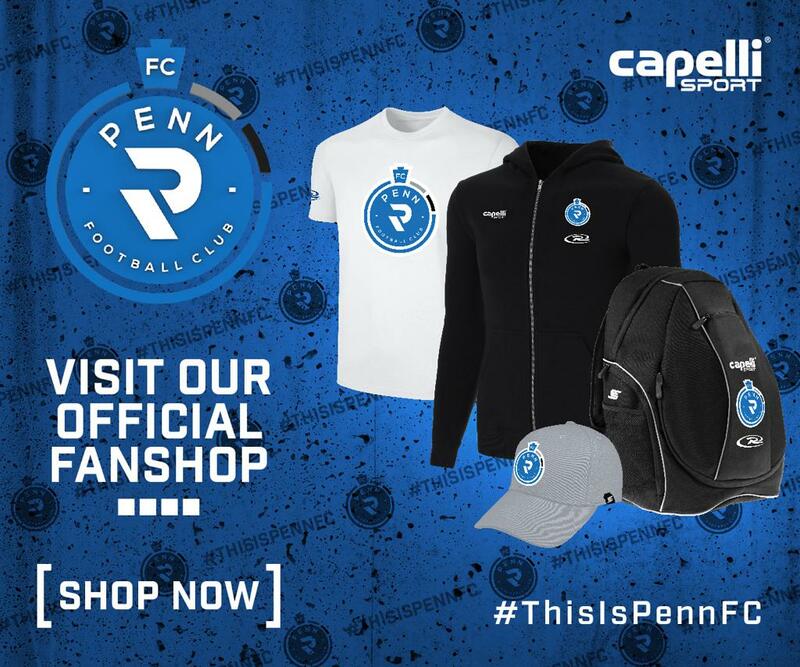 Tickets to the match are available at pennfc.com/tickets. Fans will receive a free ticket Saturday night if they attend the match while wearing Penn FC or Harrisburg City Islanders gear. All other fans will be able to purchase a discounted ticket for only $5.